I had an absolute blast this past weekend with Amber and Jonny! We were originally supposed to meet up at Fontenelle Forest in Bellevue, NE. Unfortunately they don’t allow pets. So we made a quick change and met up at a small park just on the edge of Omaha called Mt Vernon Gardens. We even managed to sneak a few shots of Amber’s sister and her husband in. The park is in need of a little TLC but I can totally see myself using this park more often! I’m willing to bet this used to be a cool place to hold a wedding. Matthew - I wish we had Autumn in North Queensland! Those red leaves look amazing. Heather - I adore the shot on the upper right! Well done! Albert Palmer - Great dog shot! LOL! – The couple seem fun too – nice work! 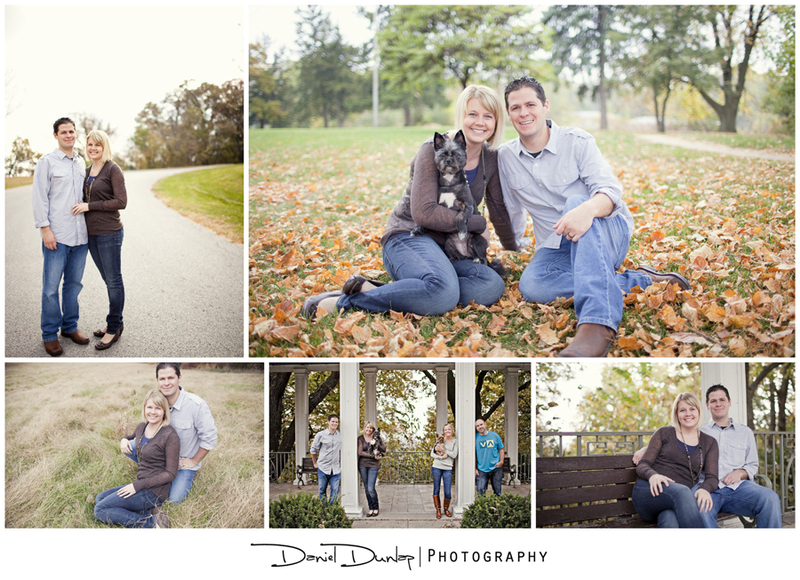 Christine - What a fun session – I’m with Nessa K, I’m jealous of the fall foliage too! So lovely! sam hurd - such a nice little set. very clean and pretty! Eliza Claire - This is so pretty. I like the bottom left one (just to differ from Lana!) it’s gorgeous, so relaxed. Stacy McPeek-Smith - Nice looking family! Lovely! Alan Langley - Lovely Autumnal images. Lana - Very pretty. I love the top right one. I could see that in a big awesome canvas.